Thank you so much for this! I wish they would sticky this post under resource packs. It took me FOREVER to figure out how every texture pack had the same picture of al the blocks in one place. 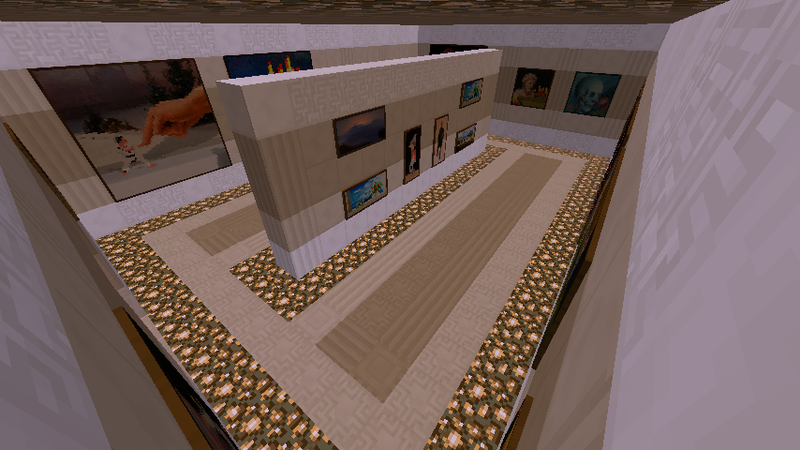 This has made testing out my mob textures infinitely easier as well. I'm so glad to see that you're keeping Kab's work up-to-date, thank you!!!! The 1.8 Showcase is now available. I think I have everything but I am certain you will let me know if I am missing something. I am thinking of adding a particle display section, where you tread on a pressure plate and the particle effect occurs. Would that be useful? ...The 1.8 Showcase is now available. I think I have everything but I am certain you will let me know if I am missing something. Heh, Jeb has posted some screenshots with new in-development blocks, so i'm afraid you'll have a bit more work to do. Actually, i can't find it now. It was some sort of underwater structure, with a dirt-like block, and a light-emitting block. Fantastic! I'll monitor the upcoming release notes on Minecraft wiki for details. Since I have you here. I am a huge fan of your Lithos. Achingly good textures. Thank you for the work, I can see it is a labour of love. Wow, thanks! I make heavy use of your showcase to put it all together. Thanks, it's awesome! 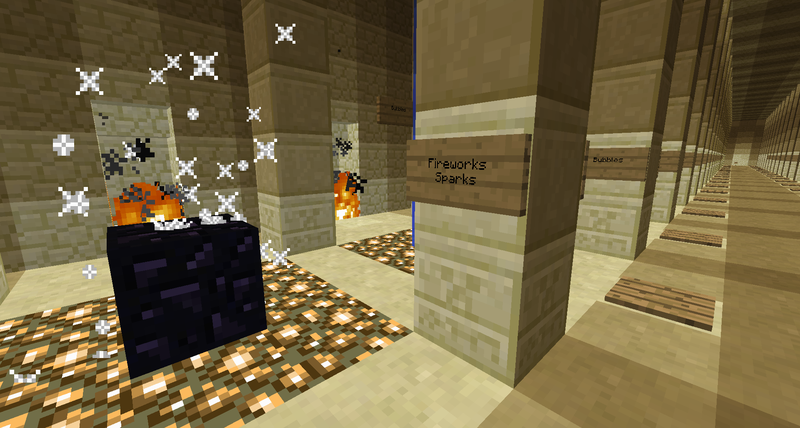 The map makes Texturepack editing much easier. * With the ever increasing number of blocks, I'm starting to wonder if it makes sense to to have a showpiece with all the blocks. They end up being so tiny. Split it up into two or more showcases? * The mob chamber underneath is kind of hard to find things in, with everything looking similar until you are close enough to read the sign. Put three name-tagged mobs in each? * It would be nice if you had a section with a slice from all the biomes. * It would be nice if you had the naturally generating structures around. These are fantastic suggestions. I will begin working on these. I have just released a new 1.7 showcase. It is the start of a major reboot of the showcase. I have added a map with every biome in near proximity to the spawn. I have begun adding a Biome Walk and Biome Display Teleports. They are not all done and the remainder will come soon. The Block Comparison Section has been remade to allow for future expansion. The Mob and Monster Display is broken ATM. Sorry for that. The name tagged mobs did not work as I expected. I need to do more reading to get the section right. I have added an item display section but the use of item frames causes lag so I have placed the section is far away so the chunks only load when you are there. This should make the section useful but not have it ruin the showcase. Please let me know what you think. Am I taking the showcase in the right direction? It is with a heavy heart I have decided to retire from textureing Minecraft. I have other projects and I will dedicate my creative energy in areas that need my support. I need someone to continue the Showcase. If you are interested please post or PM me. The 1.9 adventure begins. I have started the updates. THe new combat updates are going to be interesting! 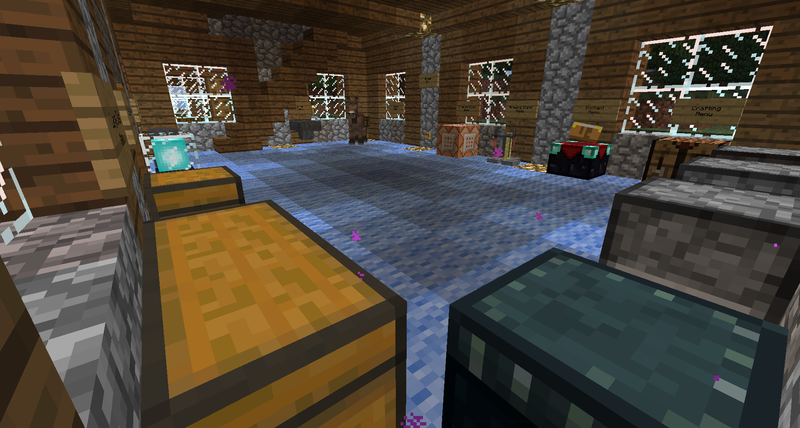 Love what you've done with the map -- especially the biome teleporter! Note you forgot the 1.9 beets. You are correct. I placed the items but forgot to grow some. I am fixing the animal displays. they have needed work for a long time. I am fixing the animal displays. they have needed work for a long time. In those crowded little places, I find it very easy to loose my sense of direction. Very impressive. I think you have leap-frogged ahead of all the other showcase maps. Thank You. Amazing what you can accomplish with some vacation days and the slowest internet connection in the world.